It is pretty obvious by the quote at the bottom of my JKS Talent Network website homepage, and my periodic musings, that I am a huge fan of Peter Drucker, the father of modern management. He left us in 2005 at the age of 95. Drucker was a writer, management consultant and university professor. In addition to his teaching career, Drucker wrote 39 books and was widely published as a contributing writer. His writing focused on management-related literature. As a consultant, Drucker worked with nearly every major corporation, including General Electric, Coca-Cola, Citicorp, IBM and Intel as well as numerous global governmental and non-governmental organizations. In his later years, Drucker consulted free of charge for social welfare and charitable organizations, among them CARE, the Salvation Army and the American Red Cross. “Like many philosophers, he spoke in plain language that resonated with ordinary managers. Consequently, simple statements from him have influenced untold numbers of daily actions; they did mine over decades.” – Andrew S. Grove, CEO Intel Corp.
Peter Drucker formed a blueprint for today’s thinking leaders. He taught generations of managers the importance of picking the best people, of focusing on opportunities and not problems, of getting on the same side of the desk as your customer, of the need to understand your competitive advantages and to continue to refine them. Drucker believed that talented people were the essential ingredient of every successful enterprise. He conceived the concept that the corporation is a human community built on trust and respect for the worker rather than being just a profit-making machine. Drucker was intrigued by employees who knew more about certain subjects than their bosses or colleagues while cooperating with others in a large organization. 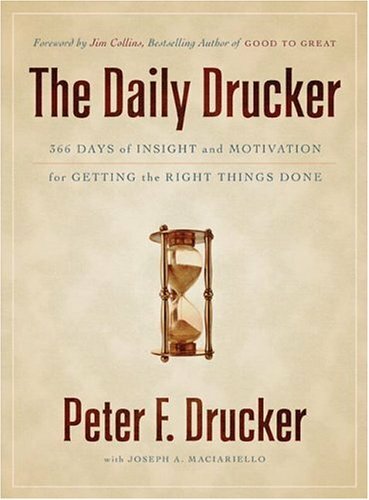 Today Peter Drucker’s teachings, thinking and influence continue at The Drucker Institute based at Claremont Graduate University in California. The Institute is a think tank and action tank focused on advancing the ideas and ideals of its namesake. Last fall Time Magazine re-published an article contributed by The Drucker Institute on The Passion Puzzle at Work. I found this article particularly engaging and wanted to share it with you. Do you feel passionate about your job? If you answered yes, then you’re abnormal, at least if you go by the numbers. Deloitte defines a passionate worker as one who hopes to have a lasting and increasing impact on a particular industry or function; actively seeks out challenges to rapidly improve performance; and looks for deep interactions with others and builds strong, trust-based relationships to gain new insight. In other words, employee passion—at least as viewed by Deloitte—goes well beyond mere engagement. But to develop passion, it clearly requires something that Peter Drucker believed was absolutely essential: each individual worker taking responsibility for his or her own results and continued learning. And yet, for all this, Drucker also recognized that it wasn’t simply a matter of employees seizing responsibility. It’s up to their employers to provide the systems and processes and culture for them to be able to do so. 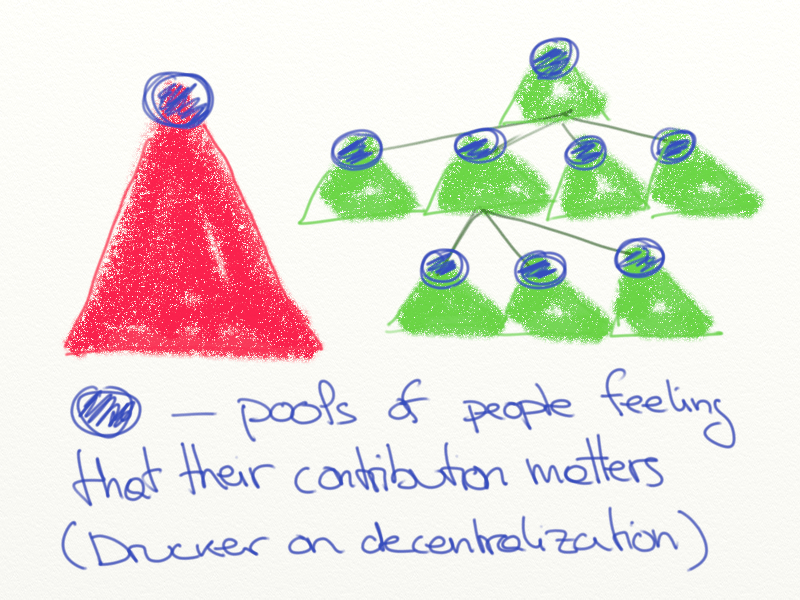 Heavy-handed, top-down organizations—those that “rest on command authority,” in Drucker’s words—don’t create the right dynamics for passion.